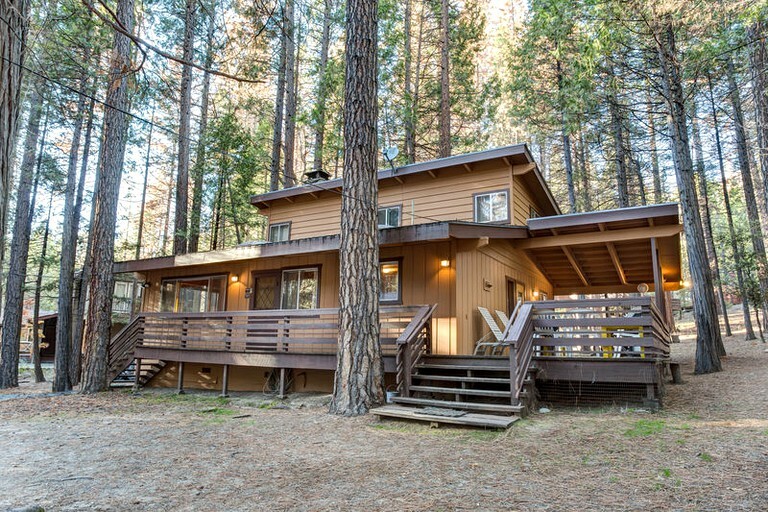 This incredible spacious cabin is perfect for nature lovers. 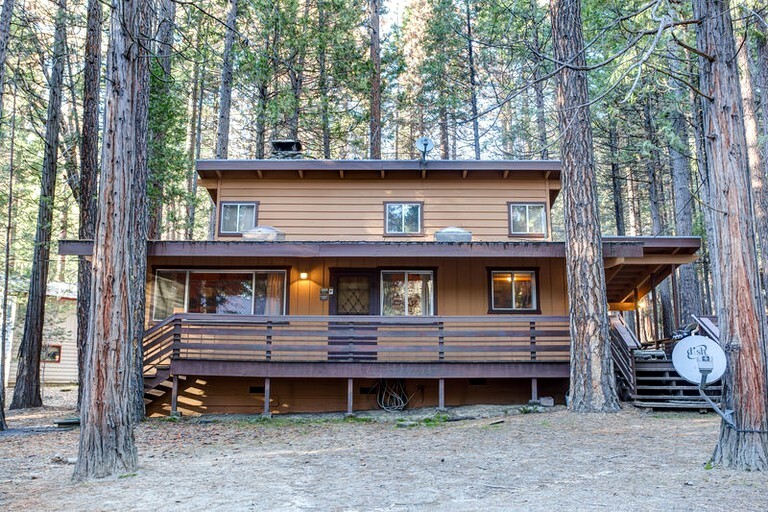 It is tucked away in some of Yosemite's thick forestry in California. 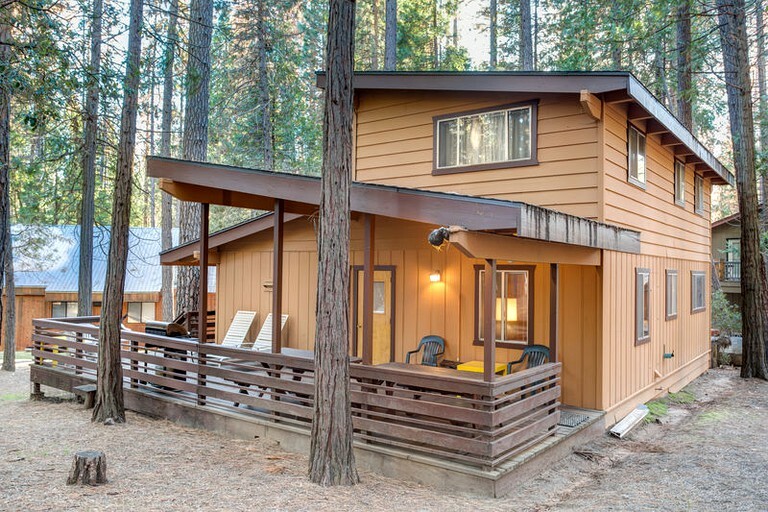 Sleeping up to ten guests, this rental is great for large groups. 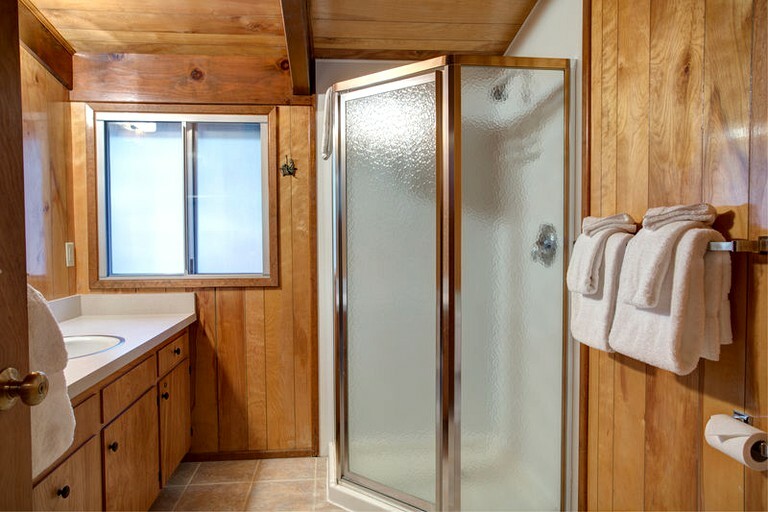 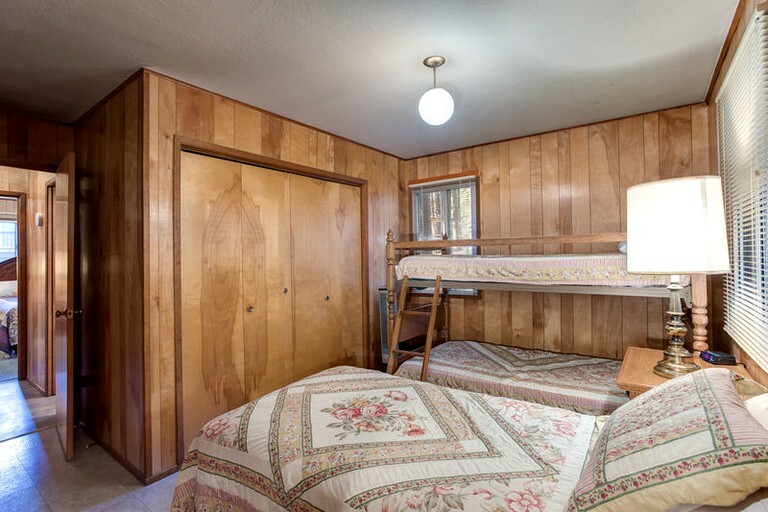 There are four bedrooms and two bathrooms. 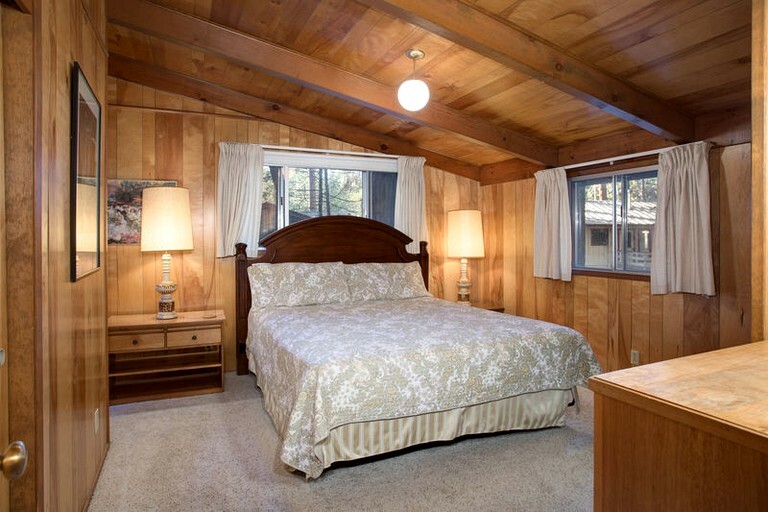 Two bedrooms feature luxurious king size beds. 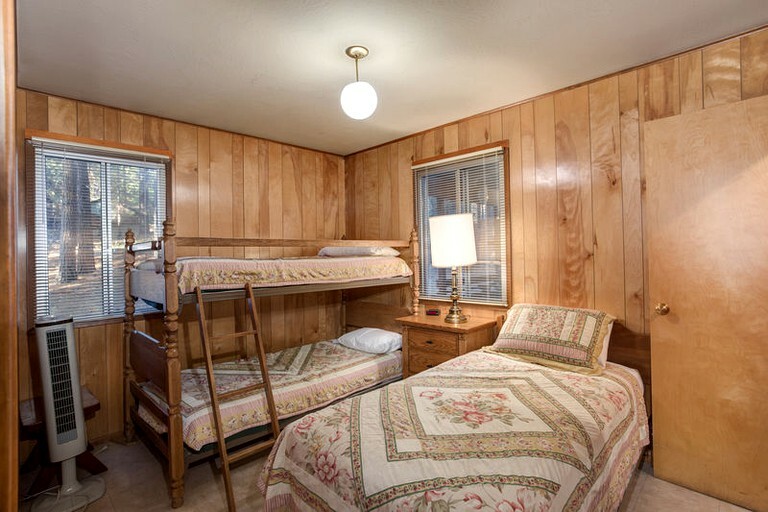 The third is great for kids with one twin bed and one set of bunk beds. 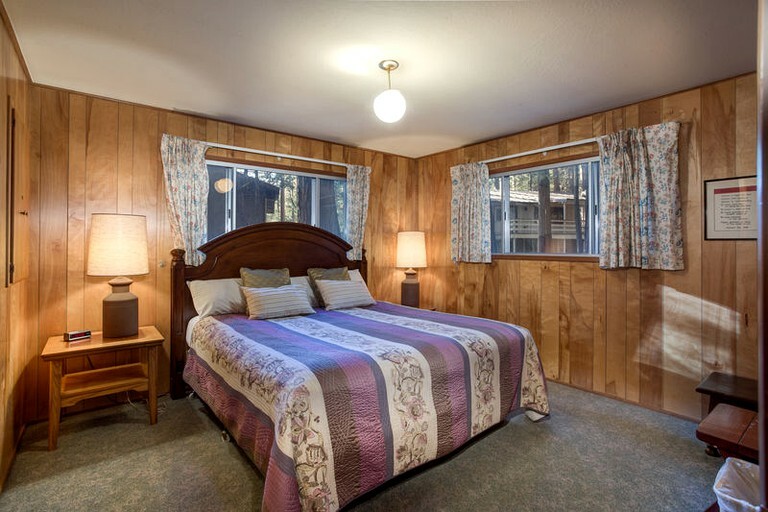 The final room has one lovely double bed and one inviting twin bed. 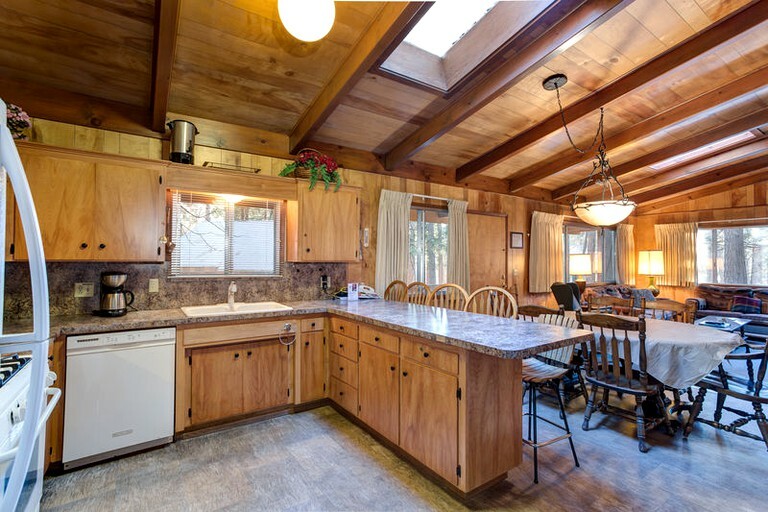 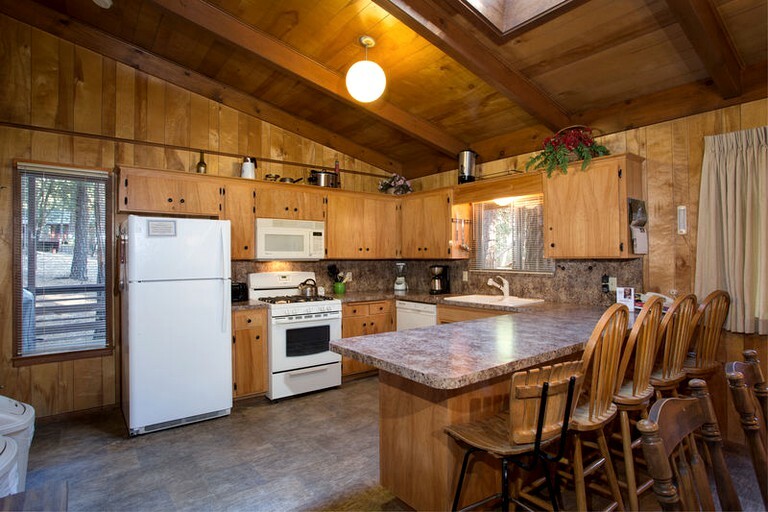 The kitchen is fully equipped with plenty of cooking appliances and utensils and a dishwasher is included. 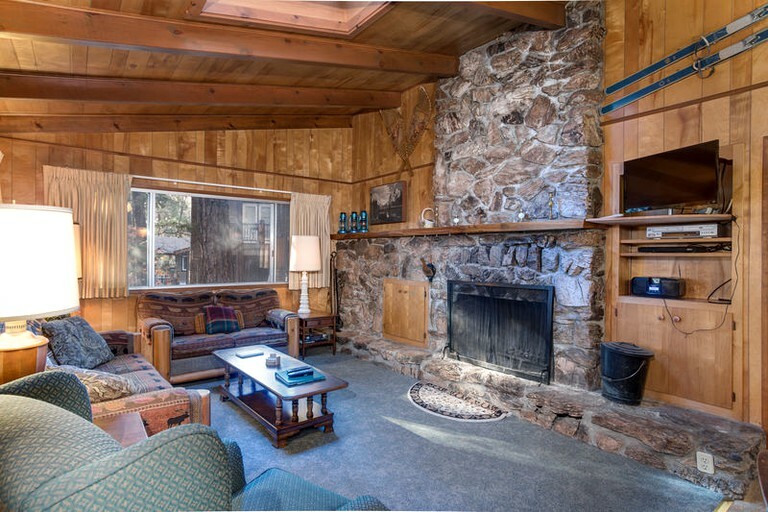 The home includes a fireplace with wood, and wall heaters to keep guests nice and warm. 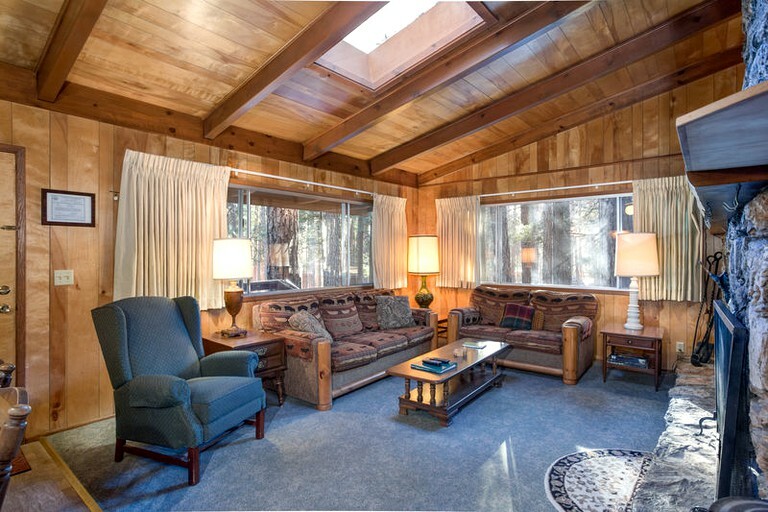 Guests will also have internet, satellite TV, DVD, CD, and VCR players and free international and domestic calls. 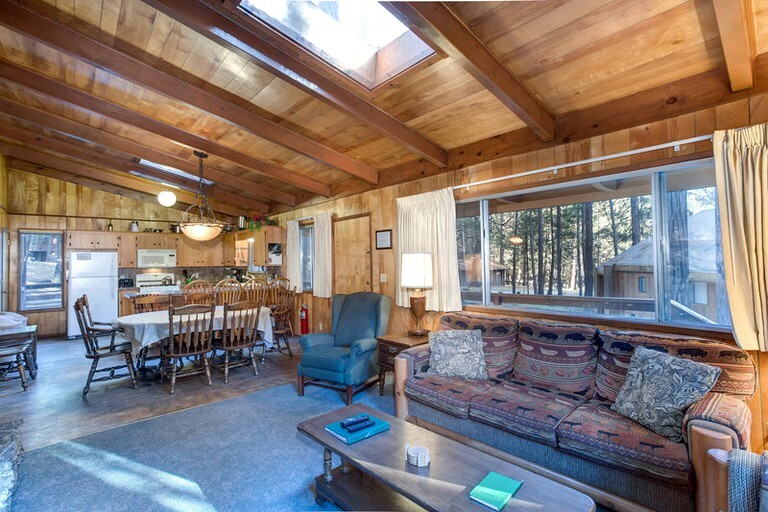 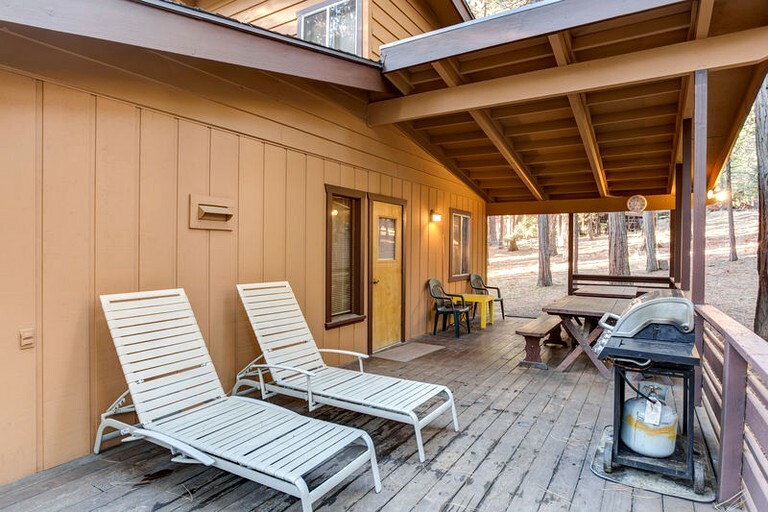 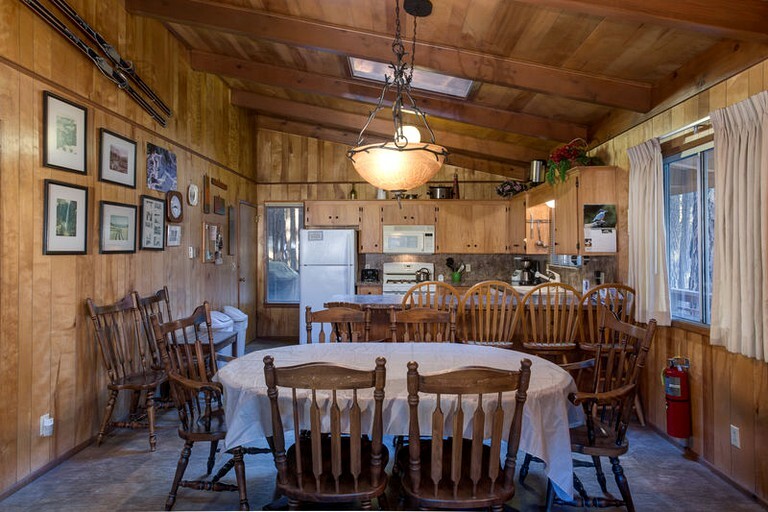 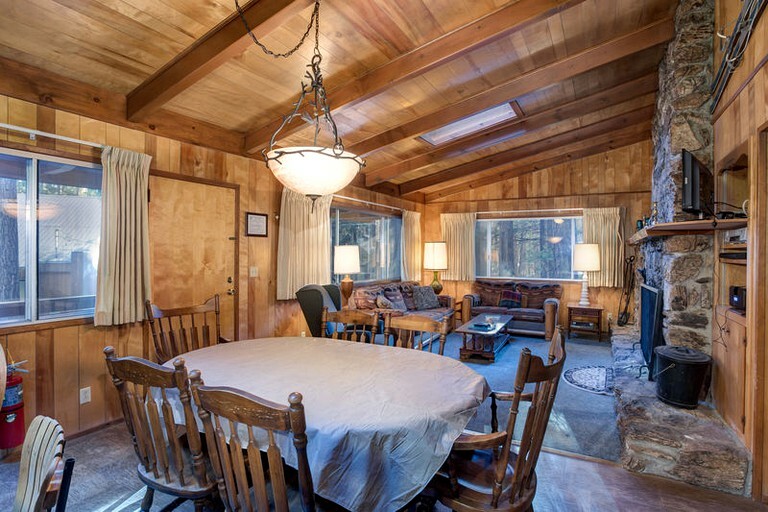 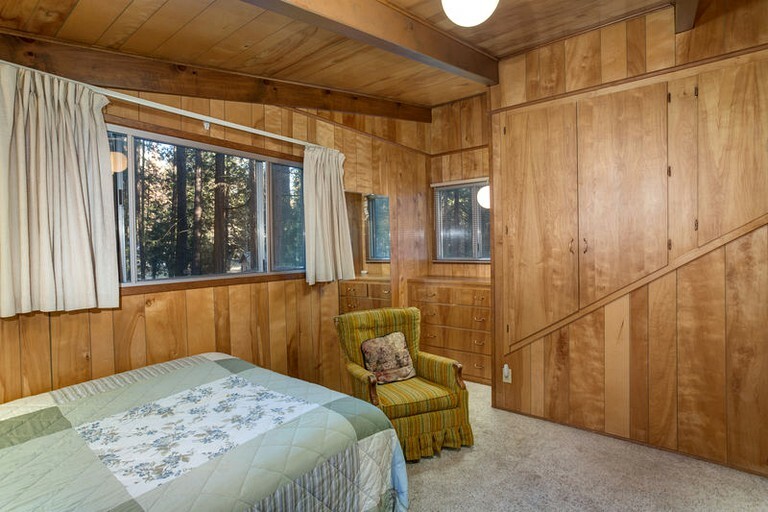 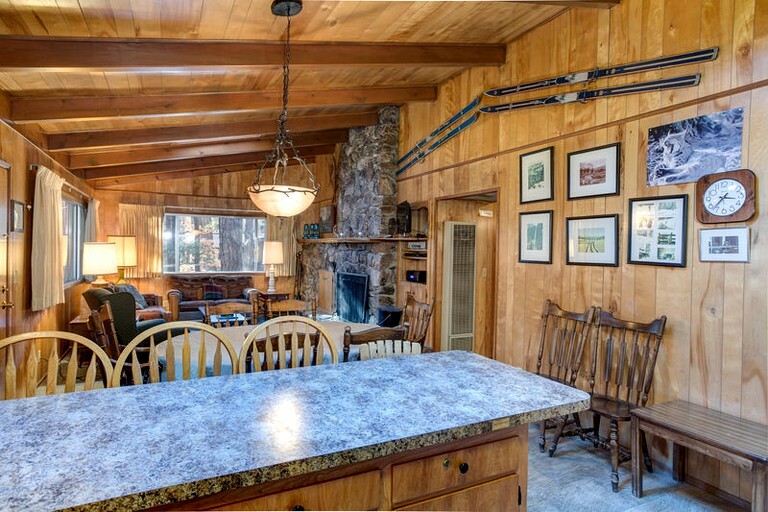 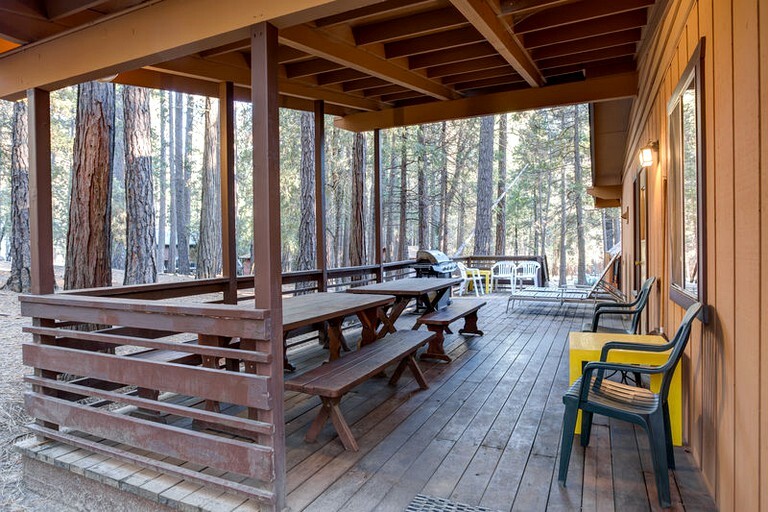 The private deck has a gas grill, picnic table, and a beautiful view of the Yosemite forest. 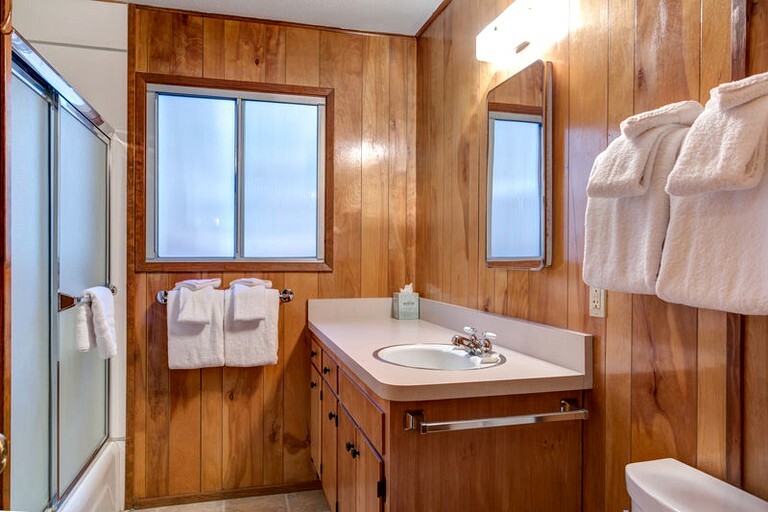 Guests are provided with linens and towels. 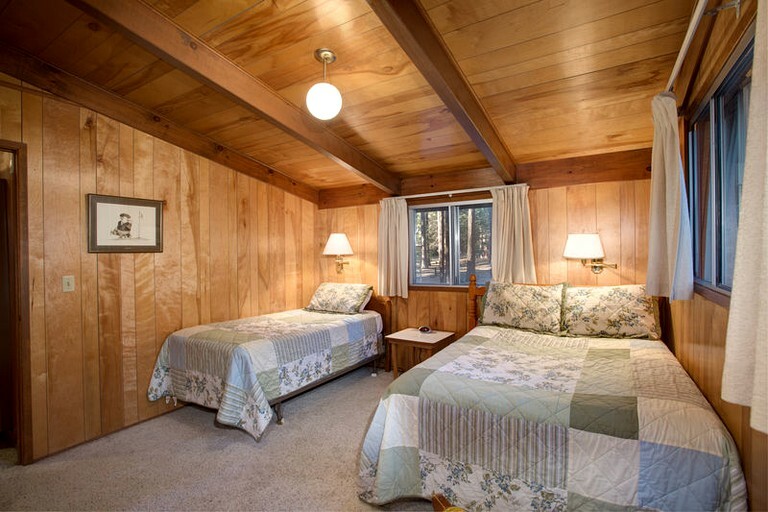 Tucked away in some of the world's most beautiful surroundings, guests will find an array of activities. 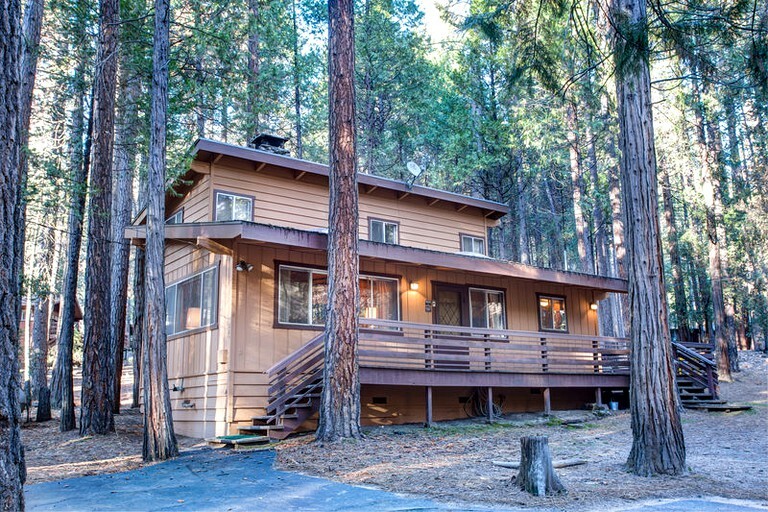 Wine lovers can head out for a Californian wine tour along the Yosemite Sierra Wine Road. 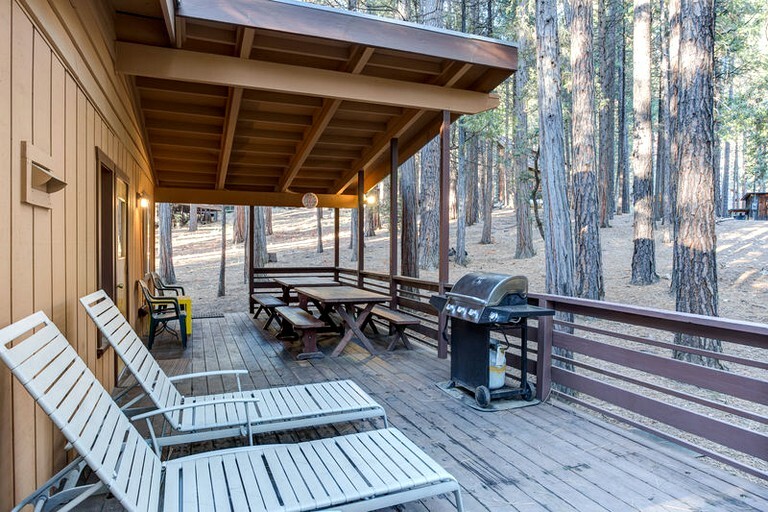 In the summer guests can explore the miles of hiking and biking trails weaving their way through the wilderness up to the peaks. 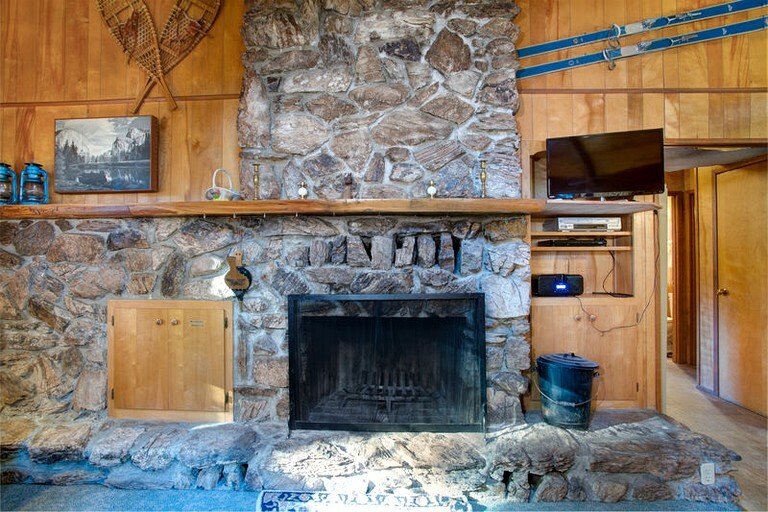 In the winter, guests can enjoy a snowy horse drawn sleigh ride along historic Jackson Road in Fish Camp or head to the nearest slopes for some skiing.